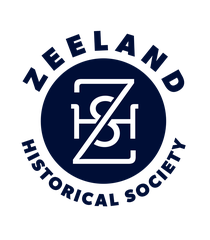 The Zeeland Historical Society is excited to announce that we now have Wi-Fi at the Dekker Huis / Zeeland Historical Museum! This investment enables the Society to communicate with the outside world and share our extensive collections with the public. Due to the generous support of members and donors, we are able to move forward with our project to digitize the "Hidden Treasures" at the museum. Thank you for your support! To follow our progress, click here.